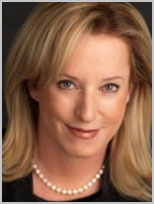 Martha Fling joined the Ackerman Institute for the Family’s Board of Directors in June 2011. As a professional with an extensive background in wealth advisory services and mental health, including working as executive director of SeaBridge Residential Treatment Center in Malibu, Martha brings a great deal of experience, energy, and enthusiasm to the Ackerman Institute. A native of Los Angeles, California, Martha travels frequently to New York where her grown children have relocated and where she maintains an ever-growing network of business and philanthropic contacts. Currently, Martha is the founder of Drake Libby LLC, a firm offering investment solution driven services to families, individuals, endowments, and foundations. Martha believes that joining Ackerman’s board combines both experiences of family involvement and philanthropy, values that are close to her heart. “I can use my financial skills and background in mental health to contribute, while deepening my commitment to help adolescents and their families. The exceptional faculty and staff at Ackerman inspires work that raises the bar for the therapeutic community everywhere!” Martha would like to expand our post-graduate training program in family therapy, and even dreams of providing opportunities for therapists outside of New York. Martha credits Ackerman’s President, Lois Braverman, for having a strong sense of purpose and vision for the Institute, and she is honored to be working with Lois, the board, and the faculty in moving our efforts forward. Martha is this year’s co-chair of our Tribute to Families annual awards dinner, which will be held on Monday, October 22nd. She is already deeply involved with her co-chair Alice Netter, planning the success of this annual major fundraising event for Ackerman. Martha sees this as a great opportunity to increase Ackerman visibility, introduce new friends to our work, and lift up the values, resilience and strength of the families we serve. We are delighted and fortunate to have Martha as a member of our Ackerman family, and we welcome her with open arms!